By purchasing Ardrich products through the Ardrich Online New Zealand website, you agree to the terms below. “Business Day” means Monday through to Friday, excluding public holidays in New Zealand. “Delivery” means standard Ardrich shipping to, and arrival at, the delivery address specified in your order form (which delivery address must comply with clause 4(1) below). “Products” means Ardrich products and or accessories that are determined by Ardrich to be available for purchase from the Ardrich Online New Zealand website at the time of your order. “Shipment” means the period from the time the Product is ready to be loaded on transport for the purpose of Delivery, until the delivery of the product. “You” means the purchaser of the Product, as identified in the Ardrich Online Checkout form on the Ardrich Online New Zealand website. Product prices given exclude GST and Delivery charges. Ardrich reserves the right to correct the price at any time prior to Delivery where there has been a typographical or other error in the advertised price. Ardrich will notify You of the corrected price. You may choose to pay the corrected price, however if You do not choose to pay the corrected price, Ardrich shall have the right to cancel your order and refund any amounts you have paid to Ardrich for the relevant Product without further obligation to You. Savings listed on any product or accessory listed on the Ardrich Online New Zealand website (https://ardrich.com.au/shop/) including any “Factory Seconds” products are calculated based on the listed price being compared to the full “Recommended Retail Price” of brand new products. All orders are subject to acceptance by Ardrich, as evidenced by Ardrich’s acknowledgment as an automatically generated receipt from the website. Ardrich reserves the right to restrict the number of items that You may purchase. The Products are offered for sale only to persons who can make legally binding contracts. Ardrich will make reasonable efforts to process the payment of Your order within 1 (one) Business Day of receiving Your order. Orders placed on the weekend or on a public holiday will not begin payment processing until the next Business Day. Ardrich reserves the right to discontinue Products without notice. If your order is for a Product that has been discontinued or is out of stock, Ardrich will notify You and offer the option of a substitute Product (which may be a different price) or cancellation of Your order. If you choose to take a substitute Product, you order will be amended and a new acknowledgment will be sent to you by Ardrich. Provided your delivery address complies with clause 4(b), Ardrich will make reasonable efforts to deliver Your Products within 5 days, or the time stipulated in Your order form or otherwise notified by Ardrich. If Ardrich is unable to deliver Your products within the specified time for any reason, it will notify you of any expected delay and offer the option of a substitute Product (which may be a different price)./ or a refund of the payment made. If You choose to take a substitute Product, Your order will be amended and a new acknowledgment will be sent to you by Ardrich If You have any additional queries regarding your order please contact Ardrich Ltd Sales Support on 0800 802 861. Ardrich will ship according to its standard commercial practice. Risk of loss and damage to all Products will pass to You upon Delivery. Title to all Products will pass to You upon the later to occur of Delivery and when payment in full has been received from You for the Products. Notice of transit damage must be made to Ardrich Sales Support on 0800 802 861 within 48 hours of receipt of the Product. the Product is returned within 30 days of purchase without being opened or damaged and in a re-saleable condition. Collection charges apply depending on the date and place of collection. Ardrich may deduct collection charges from the amount to be refunded. Products or parts will not be accepted for return or credit without Ardrich’s written consent. Payment must be made in full using the Ardrich Online New Zealand website approved electronic payment system at the time of placing Your order. Incomplete or partial payment will not be accepted. In addition to the rights in clause 10(1) above Ardrich products sold at the Ardrich Online New Zealand website are new and carry a warranty against faults and manufacture when used in normal use for the period stated on the product page. If Ardrich receives notice of faults due to a manufacturing fault during the warranty period, Ardrich will repair or replace Products at its option, at no charge. If Ardrich is unable to repair, replace or correct a defect in a Product to a condition as warranted, you will be entitled to a refund of the purchase price upon prompt return of the Product to Ardrich. This warranty excludes damage caused by misuse, neglect, shipping accident, incorrect installation, no fault found with the Product or work carried out by anyone other than an authorised Ardrich Service Agent. 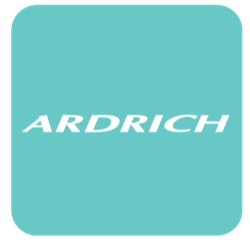 Ardrich will replace or issue a refund for Ardrich or Ardrich Online accessories purchased from this website, at our option, at no charge, if found to be inadvertently misrepresented due to error in detail or specifications. Ardrich or any of its officers, employees or agents will not be liable for any direct, indirect or consequential injury, loss or damage whatsoever and howsoever arising from the misuse, neglect, shipping accident, incorrect installation, or work carried out by anyone other than an authorised Ardrich Service Agent on the Product, including the use of the Product other than according to its written instructions and any product safety labelling or warnings provided with the Product. If You have any queries regarding your Ardrich Online New Zealand website purchase order, Your Product or warranties, returns or refunds, or if you need support for your Product, please contact Ardrich Sales Support on 0800 802 861. These Ardrich Online New Zealand website Terms and Conditions, and any disputes arising in connection with them, are governed by the laws of New Zealand. Ardrich will not be liable for any performance delays or for non-performance of any obligation under these terms and conditions due to causes beyond its reasonable control, including forces of nature, industrial action and action or inaction by a Government Agency. You must not assign any of your rights or obligations under these Ardrich Online New Zealand website Terms and Conditions without the prior written consent of Ardrich. Provisions of these Ardrich Online New Zealand website Terms and Conditions which by their nature extend beyond the conclusion or termination of any sale will remain in effect until fulfilled. These Ardrich Online New Zealand website Terms and Conditions and any additional terms referred to and hyperlinked within these Terms and Conditions, constitute the entire agreement between Ardrich and You. Any previous understandings, agreements, representations or warranties between Ardrich and You relating the transactions hereunder are replaced by these Terms and Conditions and have no further effect.